The double-track Beskydy Railway Tunnel is opened after the reconstruction at the Carpathian Mountains of Ukraine. Petro Poroshenko, the President of Ukraine who was present at the opening noted the unique importance of the tunnel for the development of the economic connections between Ukraine and the EU. He also reported that the Ukrainian railways are increasing the volume of the cargo delivered to the EU countries by 20% annually. 'When Russia completely closed its market for the Ukrainian producers, imposing the embargo as the part of the hybrid war and attempting to bring Ukraine to its knees, the producers increased the quality, production and as for today the trade volume with Poland equals the trade volume with Russia. The EU surpasses 40% of our turnover', the president claimed. 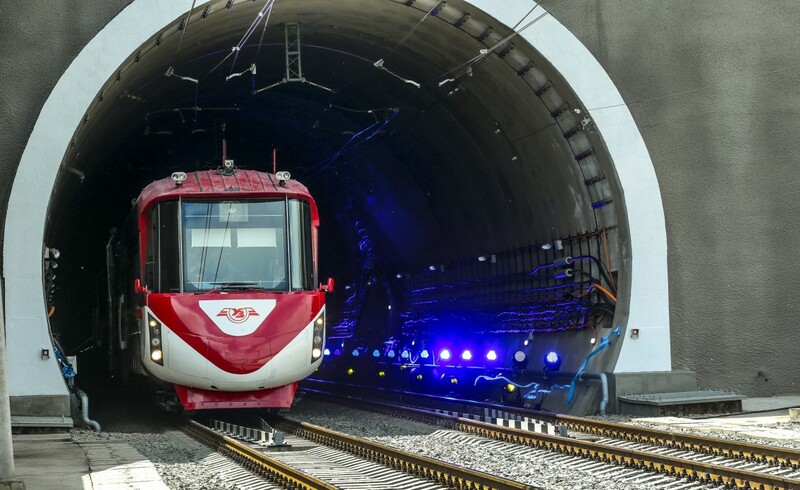 Thanking the reconstruction, Beskydy Tunnel became the part of the transport corridor Trieste – Ljubljana – Budapest – Bratislava – Uzhhorod – Lviv with the total length of 1, 500 kilometers. it is expected that after the finish of the building of the double-track tunnel it will pass up to 100 pairs of the trains per day. The speed of the trains will increase from 15-40 to 60-70 kilometers per hour. The total cost of the tunnel is almost $77 million and it the biggest investment project of independent Ukraine. In 2006 Ukrainian Railways announced the tender for the reconstruction of the tunnel. The preparation works began in 2011 and in 2013 the project of the tunnel was approved. In October 2017 the finish of the tunnel's construction was announced.